Most homeowners, who love to collect wine, are dreaming of having an elegant and functional wine storage facility where they can store their collection safely. Lack of budget and/or not having an extra room at home may hinder them from investing in a wine cellar. A custom wine cellar builder in Chicago recommends wine cabinets, a cost-effective storage solution that can protect your collection for years to come. If you have been storing wines in your kitchen refrigerator, don’t expect them to last long. It is not designed to meet the requirements necessary to preserve the quality of wine. Wine must be kept in an area where the temperature and humidity are maintained at an ideal level. This is why serious wine collectors invest money and time to protect their favorite vintages from harmful external factors like heat, light, vibration, and odor. If budget and space are factors that hinder you from starting your wine cellar conversion project, Custom Wine Cellars Chicago can provide a turnkey solution for you. Partnered with Wine Cellar Specialists, they have been designing and installing wine storage facilities for more than 20 years now.For those who have a small collection, and need an alternative option for a wine cellar, they recommend refrigerated wine cabinets..
Quality wine cabinets have been an in-demand storage option for homeowners who want a safe and beautiful storage area for their collection. 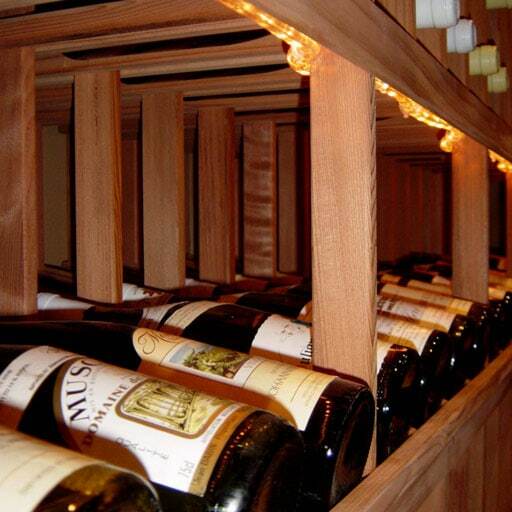 Unlike wine cellars, there is no need to build out an entire room for your wine cabinet. You can place it in a tiny closet or in almost any area in your home or apartment. 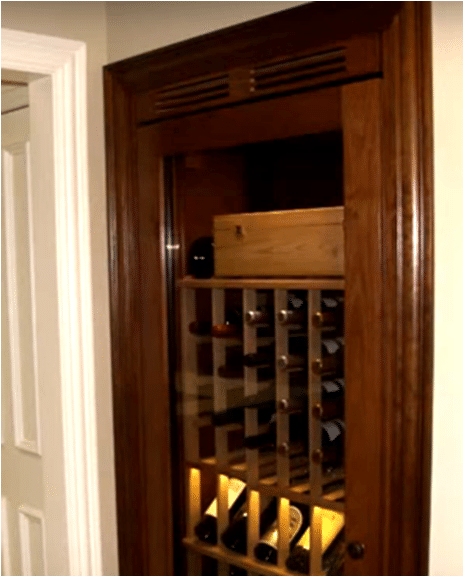 Installing a wine cabinet only requires a space that is at least 34 inches wide, 30 inches deep, and 80 inches high. Another benefit of wine cabinets is their ability to provide a climate-controlled environment essential for proper aging. In addition to space efficiency and functionality, they are also affordable, elegant, and equipped with great features. Before purchasing a wine cabinet, you must be knowledgeable enough about the different brands and features, so you will not end up choosing the wrong wine cabinet. 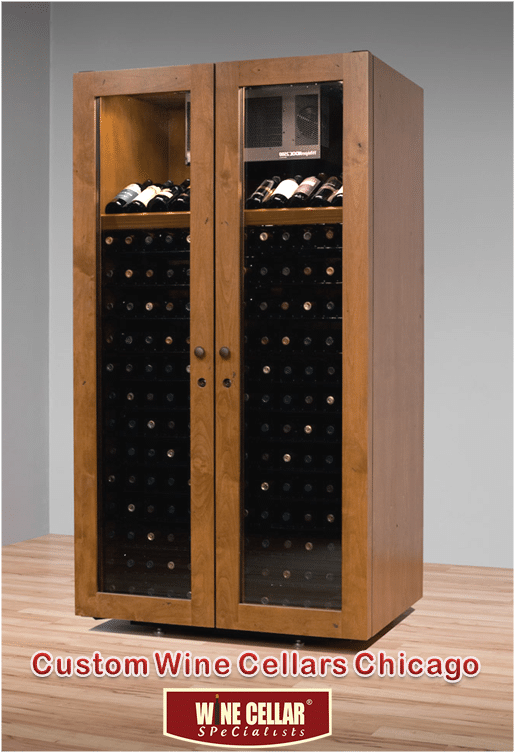 One of the popular brands of wine cabinets offered by Custom Wine Cellars Chicago is Vinotheque. They recommend these storage units to their clients because they are affordable, yet elegant. Handcrafted by artisans and designed with attention to detail, Vinotheque wine cabinets can blend well with the existing décor of your home. They are also cooled by an efficient wine cooling system manufactured by WhisperKool. 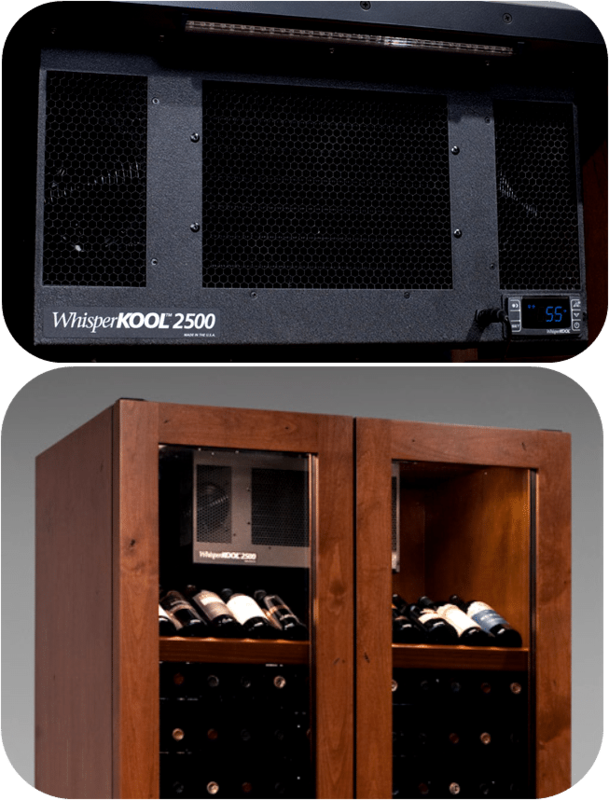 WhisperKool’s ultra-quiet 2500 wine cabinet cooling system comes with a controller that utilizes Advanced System Protection Technology, which features monitoring probes. With this feature, you can expect your cooling unit to last longer, in addition to providing a superior performance. Other features of the Vinotheque wine cabinet system are quiet operation, energy saving modes, anti-frost function, adjustable humidity control, and quick chill mode. Custom Wine Cellars Chicago will choose the style of Vinotheque wine cabinet based on your functional needs, aesthetic tastes, and financial requirements. Constructed from Knotty Alder hardwood, the Villa Roma Vinotheque wine cabinets show beautiful distressed patterns. They have a solid door that looks like it is made from the outer side or “staves” of a wine barrel, metal wine racks, and top venting exhaust. The cooling unit used is WhisperKool 2500. Optional LED lighting is available. You can choose between light, medium, and dark stain. The storage slots and capacity are intended for 750 ml bottles. Larger bottles can be stored on the upper shelves. Whether you have a traditional or modern home, Sienna Vinotheque wine cabinets can blend well with your existing décor. 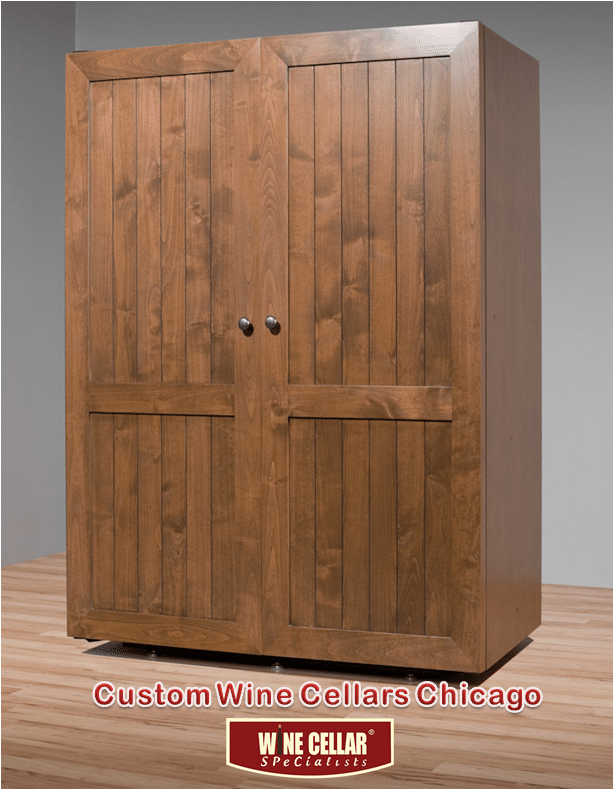 This is a high-capacity line of wine cabinets offered by Custom Wine Cellars Chicago. The combination of a full-length window door and metal racking creates a sleek display of wines. The glass panels are insulated and dual paned to create an airtight seal. Other styles of wine cabinets are Villa Venetian, Contemporary Studio Reservoir, and Contemporary Wine Reservoir wine cabinets, all of which are equipped with a WhisperKool refrigeration system. Budget and space constraints should not stop you from providing your collection a safe storage space. At Custom Wine Cellars Chicago, their Vinotheque wine cabinets are cost-efficient, stylish, and ideal for limited spaces. Feel free to contact them at +1 (773) 234-0112 or simply fill out their contact form at https://www.customwinecellarschicago.com/contact-us/. 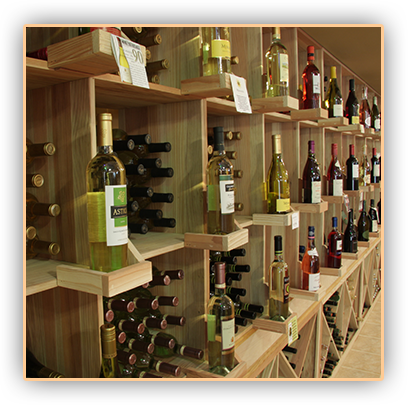 Wine Cellar Specialists Chicago is one of the leading wine cellar builders in the industry. 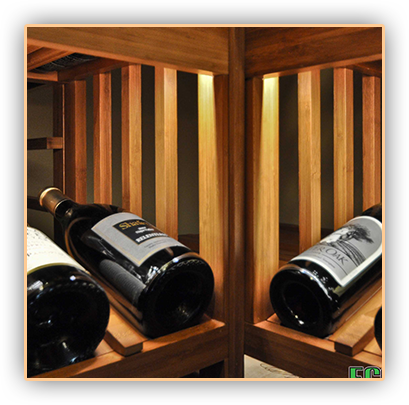 The company continues to provide wine cellar innovations for an enhanced wine storage solution. Included among the products and services that Wine Cellar Specialists Chicago are wine cellar lighting systems and their installation. Proper lighting in a wine cellar not only influences the overall appearance of the storage space, but also enhances its functionality. Aside from providing just the right amount of illumination and creating the perfect ambience inside a wine cellar, lighting also adds to the style of a room by emphasizing certain areas or design elements. Wine cellar lighting fixtures should be bright enough to allow people to move around the room comfortably and read wine labels clearly. Too much light in a wine storage space can raise temperature levels that could negatively influence the quality of wines. Frequent exposure to brightness can also do harm to the chemistry of wine, which is why installing light timers and dimmer switches is highly recommended. 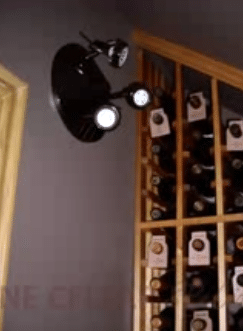 LED-based wine cellar lighting bulbs are the preferred light sources for wine cellars, rather than incandescent light bulbs. Incandescent lighting generates more heat and contributes to heat build-up in a room. On the other hand, LED bulbs are known for their energy efficiency, longer shelf life, and low heat emissions. LED-based lighting systems provide a soft warm glow to a wine storage space, as well as add a dramatic flair to the area. Wine cellar lighting fixtures for wine cellar innovations are offered in different sizes and styles that allow clients to achieve the desired effect within their wine cellar space. Common lighting options are wall sconces, recessed can lights, chandeliers, and LED ribbon lighting. Wall sconces provide indirect illumination and cast a comfortable glow. This lighting fixture does not take up floor space, as it is installed on walls. To spread light evenly around the wine cellar, sconces should be placed several feet from the floor and spaced a few inches apart on the wall. A recessed can light (or, down light) is designed to project light in a downward direction. This lighting option is placed inside a hollow opening in the ceiling. Recessed lights allow wine cellar owners to cast a spotlight on certain areas in the storage space. They also create a smooth and sophisticated ambience. Chandeliers are decorative wine cellar lighting fixtures that are hung from the ceiling. They bring an eclectic look and elegant style to a room. This lighting system often comes with elaborate and complex designs consisting of a combination of lamps, glass, or crystal prisms that result in fantastic optical effects. LED ribbon lighting offers a range of lighting applications for wine storage rooms. It measures 0.30 of an inch wide and 0.10 of an inch tall, which makes it ideal for out of sight installations. Its diminutive size allows it to fit into the tiniest spaces without sticking out. LED ribbon also comes with double-sided adhesive tape that allows for ease of setup. This type of LED lighting is mostly used as backlighting in archways or in wine racks with high reveal display rows or vertical display racks. LED ribbons are stunning light sources for highlighting the finest wine labels. Since this lighting fixture is LED-based, it does not generate ultraviolet rays that can be harmful to wines. A well-designed wine cellar lighting system should create the best possible atmosphere for storing wines, as well as for entertaining. If unsure of which choice of lighting fixture to install, consult with professional wine cellar specialists that can provide the best option for illuminating a wine enclave. 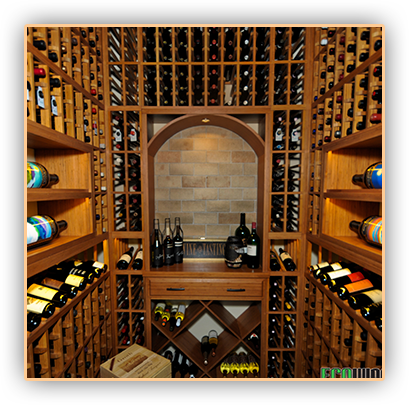 Choose Wine Cellar Specialists Chicago for your wine storage and wine cellar innovations needs. 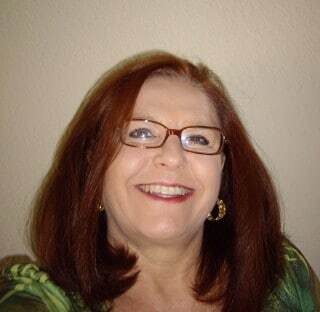 Nancy Noga, owner and founder of Wine Cellar Specialists Chicago, recently picked up an award for Houzz’s “Best of Houzz” 2013. Houzz is a popular online community that focuses on architecture, home improvement, design, and decorating. Based on reviews and ratings of 11 million monthly users, Wine Cellar Specialists emerged as the winner under the Customer Satisfaction category. Houzz has an extensive collection of interior and exterior photographs of residential homes, and it features articles written by remodeling professionals and home design specialists. The website is a useful tool for homeowners who may require the services of home improvement experts. The aim of Houzz’s Best of Houzz award is to give recognition to professionals in the field of remodeling and design. Top notch professionals and experts are singled out by the Houzz community for their high quality customer service and excellent design skills. Best of Houzz 2013 has two categories: Customer Satisfaction and Design. Winners of the Customer Satisfaction award are chosen by homeowner members, and they are evaluated according to their work quality. As evidenced by the number of professional images saved to Houzz ideabooks, the works of Design awardees are popular amongst the Houzzers (or Houzz users). Houzz’s Best of Houzz 2013 is regarded as the yardstick of remodeling and decorating excellence. This award also serves as the platform for influencing architectural styles and design ideas worldwide. 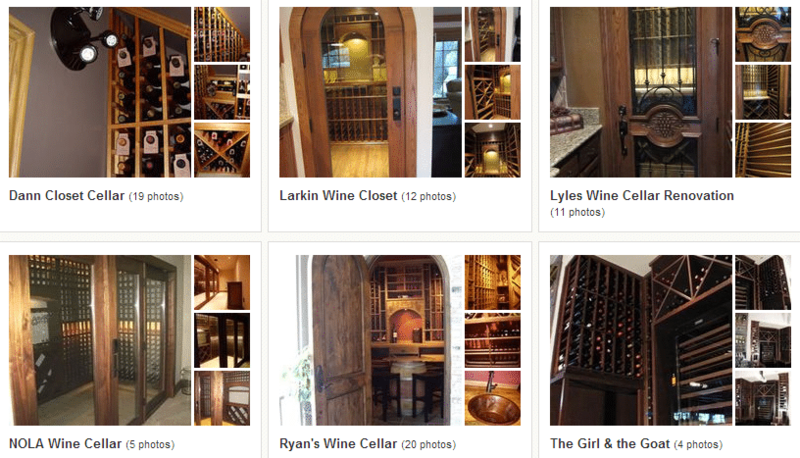 Best of Houzz 2013 is awarded to remodeling experts like Custom Wine Cellars Chicago Specialists for their creative contribution in renovation and design projects for residential properties. 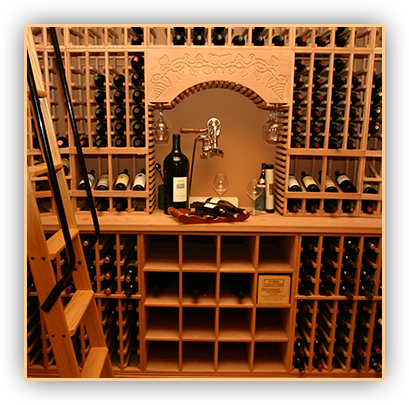 Custom Wine Cellars Chicago Specialists has been in the custom wine cellar construction business for many years. With numerous wine cellar projects under their belt, they are the leading experts in building the perfect wine storage room for residential and commercial use. This design-build firm works individually with clients from beginning to end of wine cellar projects. They offer free consultation and 3D wine cellar design services for clients to better visualize the outcome of the project. Wine Cellar Specialist Chicago also provide the best custom racking systems, wine cellar doors, flooring materials, and cooling systems. With every wine cellar project they take on, their main objective is to turn a remodeling idea into a reality, using only the best materials available and staying within the client’s budget. Wine Cellar Specialists Chicago makes it a point to understand the storage needs and desires of their clients, and integrate this information into the actual construction of the wine cellar. Whichever location you choose for your storage space – be it a closet, basement, or under the stairs – Wine Cellar Specialists Chicago is committed to creating a beautiful and dedicated wine cellar based on your design preferences and specifications. 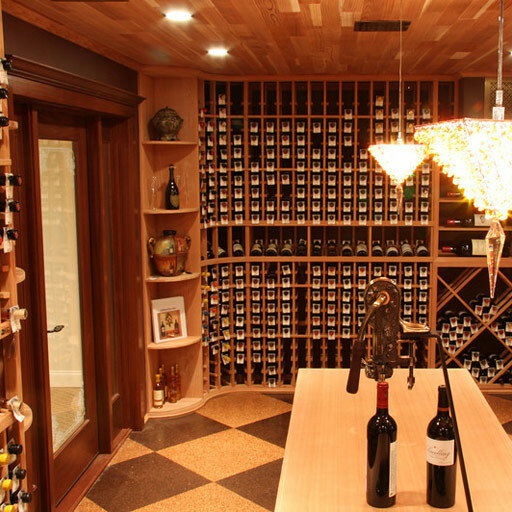 Their dedication to providing quality products and services to clients is the reason Wine Cellar Specialists Chicago are this year’s recipient of Houzz’s “Best of Remodeling” Customer Satisfaction award. This award is solid proof of their creativity and professionalism, as well as a reflection of their innovative and unique design ideas.